chessaccount | An account of chess records not usually available or been written in a single news or report. 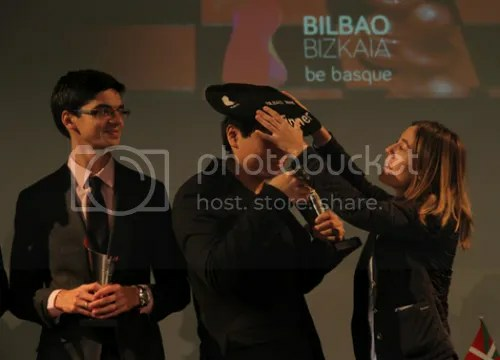 The Bilbao Chess 2015 also popularly called the 8th Grand Slam Masters Final took place in Bilbao on 25 October to 1 November 2015. Since its 1st edition (2008), it is considered one of the world’s strongest annual chess tournament. 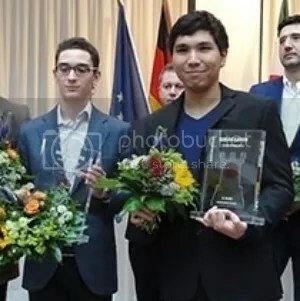 Caruana wins Dortmund 2015; Wesley So @ 2nd place. 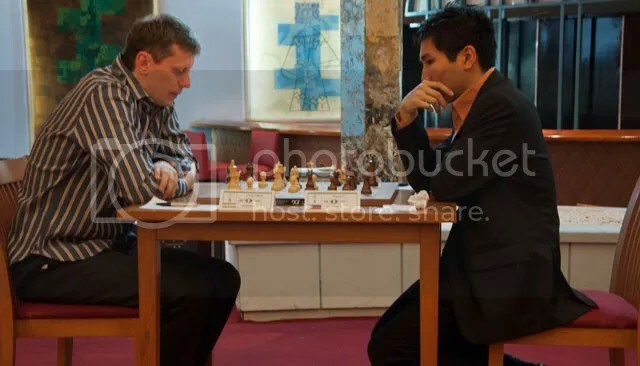 The 43rd edition of Sparkassen Chess Meeting also popularly known as Dortmund Chess 2015, a Super-Tournament, took place from 27 June-5 July 2015, in the NRW Orchestra Centre in Dortmund, Germany. 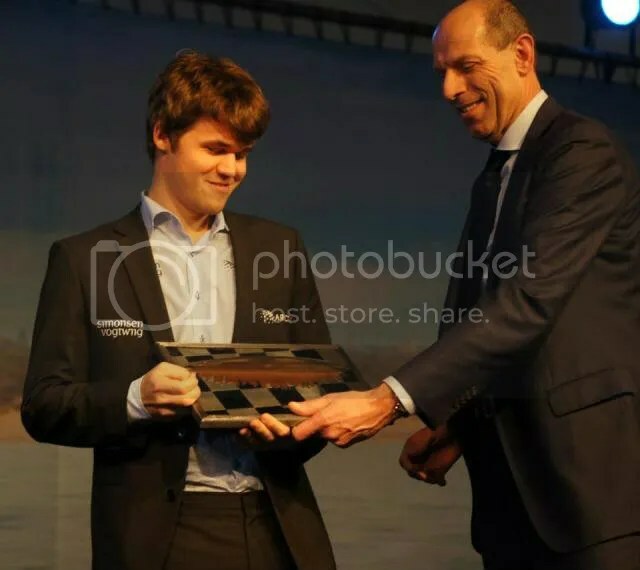 Carlsen Wins Tata Steel Chess 2015; Wesley So tied for 2nd place. GM Wesley So & WC Magnus Carlsen in their R2 encounter that ended with a draw. Read Full Story: Carlsen Wins Tata Steel Chess 2015; Wesley So tied for 2nd place. Alekhine Nouri wins North American U1900 Blitz. 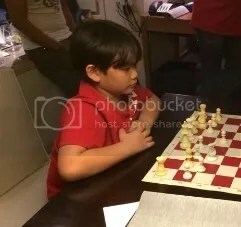 The Philippines youngest FIDE Master (FM) Alekhine Nouri who had just turned 9-yrs-old last December 12, has won the Under 1900 (U1900) Blitz section of the 24th Annual North American Open that was held on December 29. 2014 at Bally’s Casino Resort, Las Vegas, Nevada, USA. Read Full Story: Alekhine Nouri wins North American U1900 Blitz. Wesley So wins 24th Annual North American Open. Read Full Story: Wesley So wins 24th Annual North American Open. Millionaire Chess: Wesley So first, Robson second. 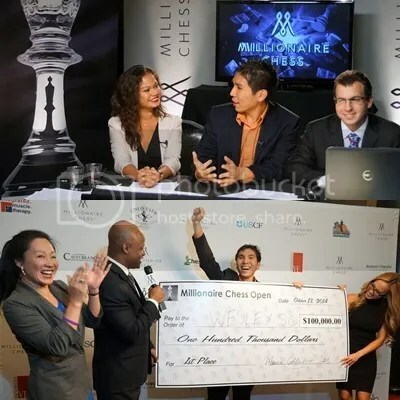 Filipino Chess Grandmaster Wesley So completed his amazing run at the Millionaire Chess 2014, the richest Open Tournament, with a record total prize payout of 1,000,000 USD (for 6-sections), by topping the ‘Millionaire Chess Open’ section and took home the Champion prize of 100,000 USD. Read full story: Millionaire Chess: Wesley So first, Robson second. Wesley So Top Seed @ ACP Golden Classic 2014. The Association of Chess Professionals (ACP) Golden Classic international chess tournament, round 1 (R1), starts today 12 July in Bergamo, Italy, and ends (R7) on 20 July 2014. Read Full Story: Wesley So Top Seed @ ACP Golden Classic 2014. 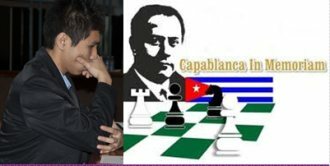 Wesley So wins 49th Capablanca Memorial in Havana. 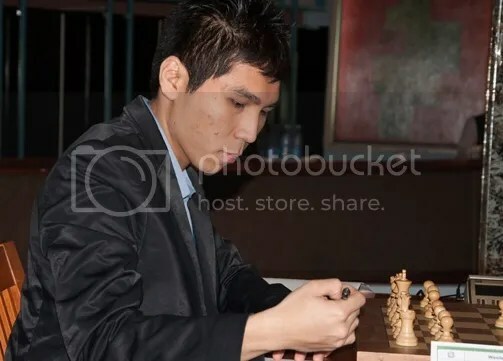 The Philippines’ #1 Chess Grandmaster GM Wesley So, formalized his fantastic conquest of the Capablanca Memorial Chess Tournament 2014, the 49th Edition, when he finally had drawn, in only 12 moves of a Nimzo-Indian, his last round (R10) game against defending Champion GM Almasi, Zoltan(2693) of Hungary to register 6.5/10 points, a clear 1.0 point advantage to 2nd placer GM Bruzon Batista, Lazaro(2682) of the host country Cuba who scored 5.5/10. 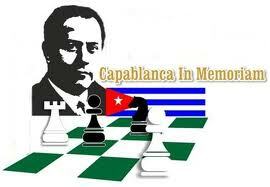 Read Full Story: Wesley So wins 49th Capablanca Memorial in Havana. R5: Wesley So leads 49th Capablanca Memorial at halfway. After 5 rounds of play, at halfway mark, of the 10-round double round-robin event @ 49th Capablanca Memorial(2014), GM Wesley So (PHI)2731 snatched the sole lead scoring 3.5/5 (+2-0=3) by beating his perennial co-leader since R3 the defending champion GM Almasi, Zoltan (HUN)2693 who resigned after the 48th move of a French Winawer. The other previous round-4 leader, top seed Domínguez Perez, Leinier (CUB)2768 made a quick 13-mover draw [Ruy Lopez, Closed (C92)] with his compatriot Bruzon Batista, Lazaro(CUB)2682 to score 3.0/5(+1-0=4). Read full story: R5: Wesley So leads 49th Capablanca Memorial at halfway. R4: So, Dominquez & Almasi in a 3-Way Tie for the Lead @ 49th Capablanca Memorial. The top seed, Cuba’s Nr 1, World’s Nr 10 and 3-time Capablanca Memorial winner Domínguez Perez, Leinier CUB 2768 (2004, 2008 & 2009) scoring his first win in the tournament against Vallejo Pons, Francisco (2700) upped his aggregate total points to 2.5/4 and catched up R3 leaders GMs Wesley So (PHI)2731 and Almasi, Zoltan(HUN)2693 who both had drawn their respective games … a 3-way tie for the lead after 4-rounds at the 48th Capablanca Memorial (2014). Read full story: R4: So, Dominquez & Almasi in a 3-Way Tie for the Lead @ 49th Capablanca Memorial. The defending champion (2013 winner) GM Almasi, Zoltan(HUN)2693 defeated the 6-time Capablanca Memorial winner GM Ivanchuk, Vassily UKR 2753 (2005, 2006, 2007, 2010, 2011 & 2012) in R3 to tie GM So, Wesley(PHI)2731 for the lead at 2-pts each. 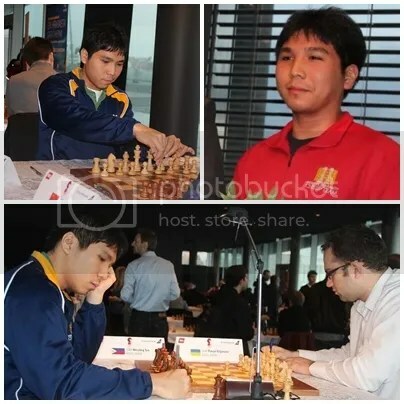 Wesley So had drawn his Ruy Lopez (C88) game with 3-time winner Domínguez Perez, Leinier CUB 2768 (2004, 2008 & 2009). At Table-3 the game between the 2001 winner GM Vallejo Pons, Francisco ESP 2700 and 2002 winner GM Bruzon Batista, Lazaro CUB 2682 was also drawn after white’s 60th move. Wesley So beats Vallejo-Pons in Rnd-2, leads 49th Capablanca Memorial. After two rounds of play at the 49th Capablanca Memorial 2014, the Philippines top rated Grandmaster Wesley So ranked Nr 23 in the World with 2731 FIDE rating, a first timer in this prestigious chess tournament, needed only two rounds to secure the sole leadership scoring 1.5/2 (+1=1). Read full story: Wesley So beats Vallejo-Pons in Rnd-2, leads 49th Capablanca Memorial. GM Julio Catalino Sadorra is Philippines Newest Super Grandmaster. It’s official. 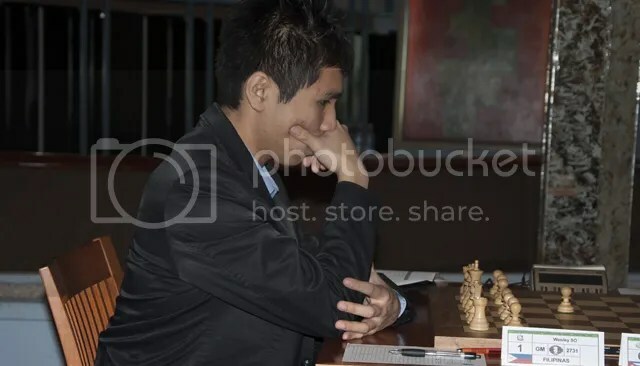 GM Julio Catalino ‘Ino’ Sadorra, the Philippines 14th Chess Grandmaster (2011), became the Philippines 3rd Super Grandmaster (SGM) with a FIDE rating of 2605 as of April 2014 FIDE rating list. 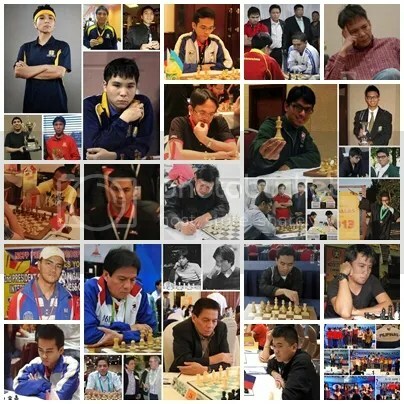 Sadorra joins the elite group of Filipino Super GMs (2600+) lead by Mark Paragua who in Jan 2006 was the 1st Filipino to breach the 2600+ mark with a FIDE rating of 2618 and Wesley So who in Oct 2008 was the 2nd Filipino to breach the SGM mark with his FIDE rating of 2610. Read full story: GM Julio Catalino Sadorra is Philippines Newest Super Grandmaster. GM Oliver Barbosa wins 19th Int’l Open Grandmasters Chess 2014. 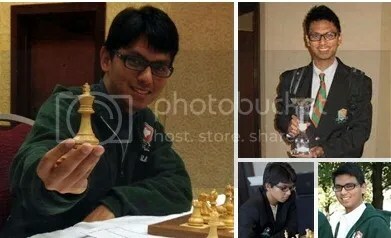 GM Oliver Barbosa, the Philippines’ Nr 3 top rated chess player, once again delivered sterling performances that won first place via tiebreak points in “The 19th International Open Grandmasters Chess Tournament 2014” also known as “The 6th Kolkata Open” that took place from 18th to 27th March 2014 at Gorky Sadan, Kolkata, West Bengal (India) that was organized by the Alekhine Chess Club. Carlsen Wins Zurich Chess Challenge 2014; Caruana Tops Rapid. The Zurich Chess Challenge (ZCC) 2014, the strongest tournament in chess history to date whose 6-participants with an astonishing average rating of 2800.83 rounded to 2801, the 1st ever Category 23 (2801–2825 ELO/rating range) tournament, was won by the newly crowned World Champion (WC) Magnus Carlsen in his first tournament appearance as World Champion since winning the world title on 9-22 November 2013. Read Full Story: Carlsen Wins Zurich Chess Challenge 2014; Caruana Tops Rapid. 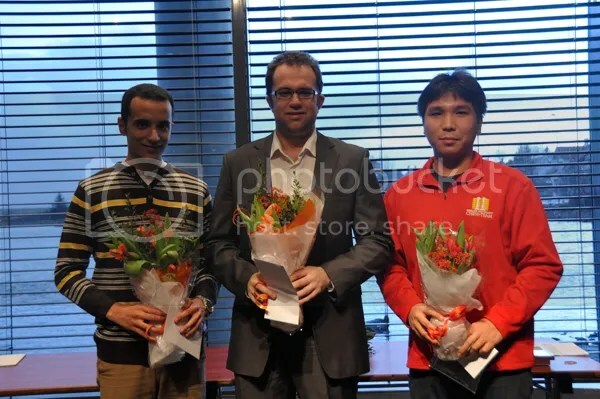 Aronian Wins Tata Steel Chess 2014; Wesley So @ 6th place overall. 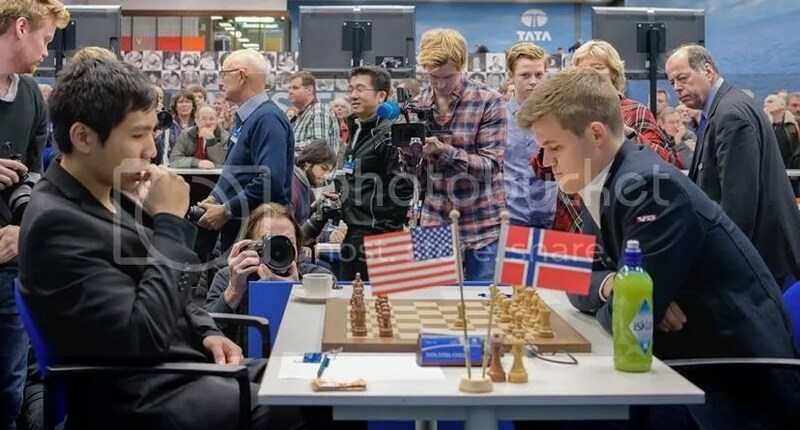 The 76th edition of Tata Steel Chess Tournament also well-known as Wijk aan Zee that took place for the first time in 3-locations for the Master’s Group (Grp-A): Wijk aan Zee (R1-R3,R5-R8,R10-R11), Rijksmuseum in Amsterdam (R4 ) and High Tech Campus Eindhoven (R9 ) from 11-26 January 2014, was won by elite-GM Levon Aronian (2812) of Armenia. It was the 4th time that Aronian won in Wijk aan Zee. The other three were in 2007, 2008 and 2012. Read Full Story: Aronian Wins Tata Steel Chess 2014; Wesley So @ 6th place overall. Webster Chess Dominates at 2013 PanAm Championship, Earns Return to Final Four. Webster University dominated the 2013 Pan-American Intercollegiate Team Chess Championship, held Dec. 27-30 at Texas Tech University. 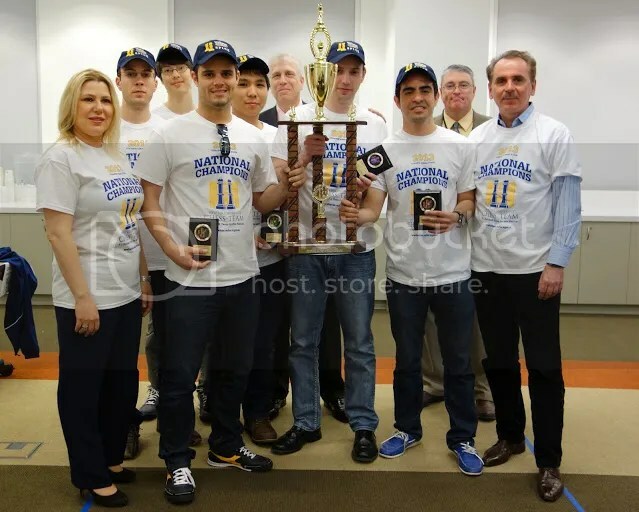 The Webster University chess team and coach Susan Polgar achieved the most dominant performance in the 60-year history of the prestigious PanAm InterCollegiate Chess Championship, also known as the World Series of Chess. The 2013 PanAm, held Dec. 27-30 at Texas Tech University in Lubbock, Texas, was the strongest field ever, with 42 college chess teams from across the country and 25 grandmasters competing. Read Full Story: Webster Chess Dominates at 2013 PanAm Championship, Earns Return to Final Four. Chessaccount wishing you all a Happy & Prosperous New Year !!! Magnus Carlsen : 16th World Chess Champion and 2nd Youngest. The World Chess Championship 2013 also known as FIDE World Championship Match (FWCM) 2013 calendared by FIDE (World Chess Federation) in Chennai, India on 9-28 November 2013 for twelve (12) rounds, with tie-break games if necessary, was concluded in Round 10 (22 Nov) with the World’s Top rated player and record holder of FIDE’s ‘All-Time-High’ rating of 2872 (Feb 2012–April 2012 FIDE rating list) & highest ever Live Rating of 2878.9 (27 Mar 2013), Magnus Carlsen of Norway, finally claiming its right to be declared as the 16th and the new undisputed World Chess Champion in ‘Standard Chess’ also branded as the ‘Classical Chess’. Read Full Story: Magnus Carlsen : 16th World Chess Champion and 2nd Youngest. Will Magnus Carlsen make it as the 2nd Youngest World Champion come WCC 2013 (Updated). The World Chess Championship 2013 calendared by FIDE to take place on 7-28 November 2013 at Hyatt Regency, Chennai, India would be between the reigning World Chess Champion Viswanathan Anand(2775) of India and Magnus Carlsen(2870) of Norway, the World’s #1 rated player with an ‘All-Time-High’ rating of 2872 (Feb 2012 – April 2012 FIDE rating list), who won the FIDE World Chess Candidates Tournament, London 2013 (15 March – 1 April 2013). 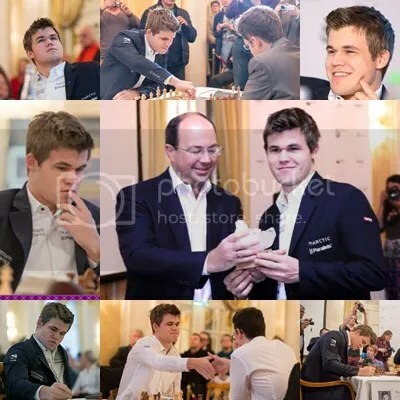 Read Full Story: Will Magnus Carlsen make it as the 2nd Youngest World Champion come WCC 2013 (Updated). Wei Yi : The World’s Youngest Super Grandmaster. 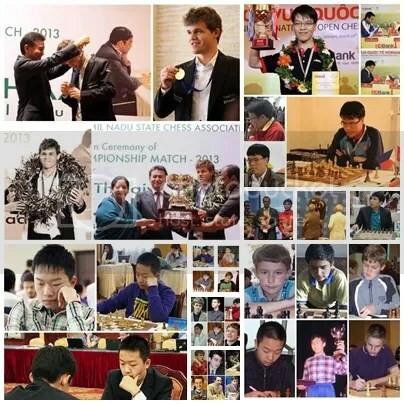 On November 2013 FIDE rating list publication, officially, GM Wei Yi (born 2 June 1999) of China breached the 2600 mark, the super-Grandmaster status with a 2604 rating. Read Full Story: Wei Yi : The World’s Youngest Super Grandmaster. Wesley So Wins 17th Unive Crown Tournament in Hoogeveen. Read Full Story: Wesley So Wins 17th Unive Crown Tournament in Hoogeveen. Wesley So wins Philippines 1st Gold medal in 27th Universiade. 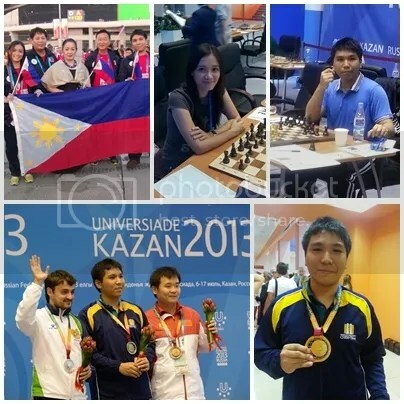 Read more: Wesley So wins Philippines 1st Gold medal in 27th Universiade. GM Wesley So a Triple Winner at 2013 Las Vegas International Chess Festival. 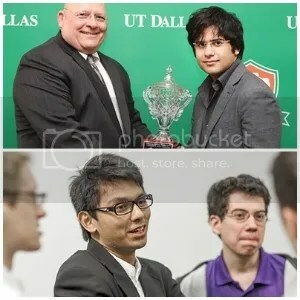 The month of May 2013, GM Wesley So, delighted his fans and supporters with his back-to-back conquests of Calgary’s International Chess Classic, in Canada, winning two chess championships (Standard & Blitz) on the same day on 19 May 2013. This month of June, was a big surprise, more delightful and incredible, since, instead of two as earlier reported, GM Wesley So delivered three titles, a TRIPLE CROWN, in a span of 4-days from June 6 to 9 at the 2013 Las Vegas International Chess Festival at the Riviera Casino & Hotel. Read more: GM Wesley So a Triple Winner at 2013 Las Vegas International Chess Festival. 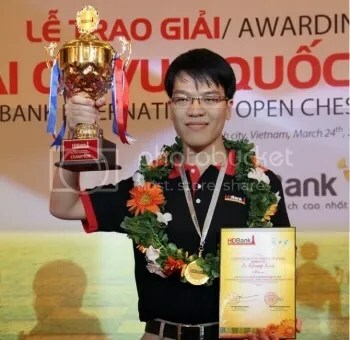 Mark Paragua Qualifies for Chess World Cup 2013; Li Chao Wins, Barbosa 2nd. 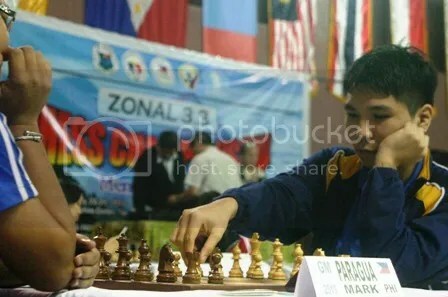 Grandmaster Mark Paragua, the 2013 Philippine Sports Commission (PSC) Cup International Chess & 2012 Philippines National Chess titlist, pinned the 2nd of the five(5) qualification berth for the Chess World Cup (CWC) 2013 available in the just concluded Manny Pacquiao Cup – Asian Continental Chess (ACC) Championship 2013 in Pasay City, Metro Manila, Philippines conducted on 18-26 May 2013 with Midas Hotel as the venue. 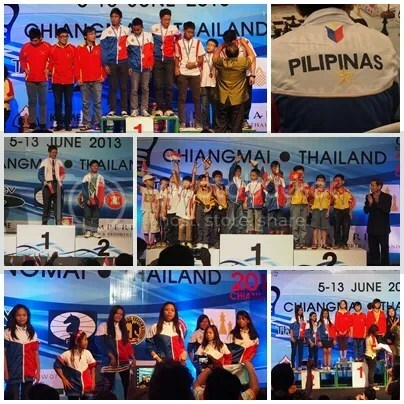 Read more: Mark Paragua Qualifies for Chess World Cup 2013; Li Chao Wins, Barbosa 2nd. 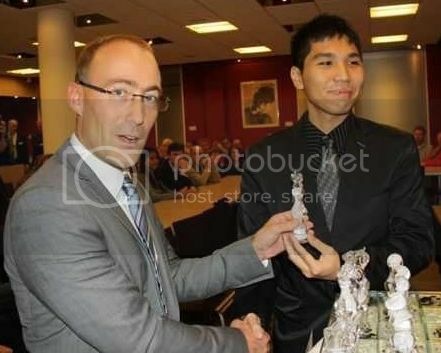 Wesley So double winner at Calgary International Chess Classic 2013. GM Wesley So was a toast at the 6th Calgary International Chess Classic (CICC) after winning two chess championships on the same day on 19 May 2013. 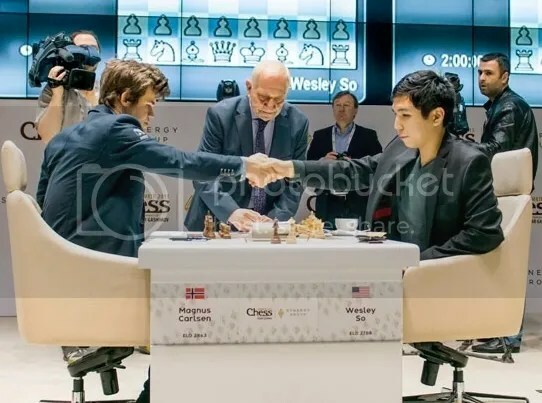 Wesley So secured the 9-round Swiss “Standard” chess championship with one more round to go after winning the penultimate round (R8) against FM Jason Cao who resigned on the 44th of the Classical Nimzo Indian and upped his score to 7.0/8, a 2-point lead to a bunch of four players who all scored 5.0/8 and tied at 2nd place. 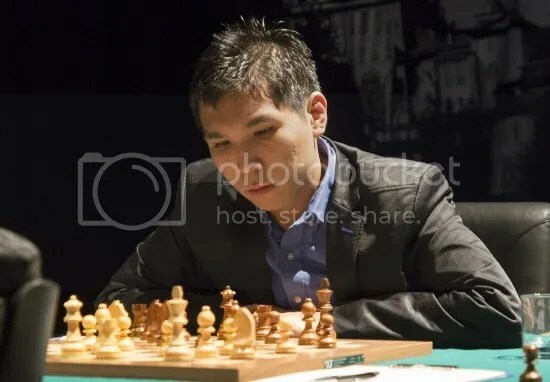 With just a few hours of rest, Wesley So returned to the tournament’s venue and competed next in Calgary’s 9-round Swiss “Blitz” Championship and captured the championship as the sole winner with a perfect score of 9.0/9. Read more: Wesley So double winner at Calgary International Chess Classic 2013. Will Magnus Carlsen make it as the 2nd Youngest World Champion come WCC 2013. 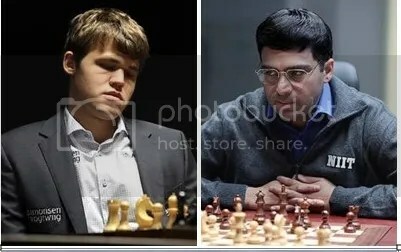 The World Chess Championship 2013 calendared by FIDE to take place on 6-26 November 2013 would be between the reigning World Chess Champion Viswanathan Anand of India and Magnus Carlsen of Norway, the World’s #1 rated player with an ‘All-Time-High’ rating of 2872 (Feb 2012 – April 2012 FIDE rating list), who won the FIDE World Chess Candidates Tournament, London 2013 (15 March – 1 April 2013). 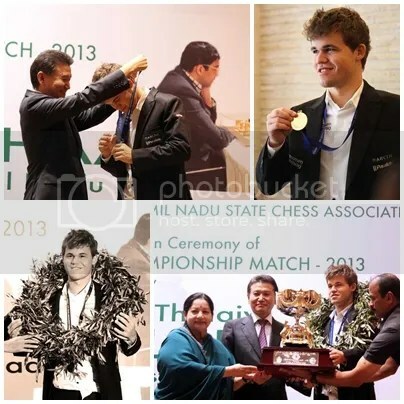 Read more: Will Magnus Carlsen make it as the 2nd Youngest World Champion come WCC 2013. The 2013 U.S. President’s Cup popularly known as the Final Four Of College Chess was won by Webster University, a powerhouse college team from St. Louis. Read more: Webster U Wins 2013 U.S. Chess ‘Final Four’. 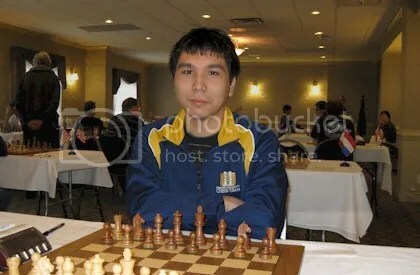 Webster University freshman and chess GM Wesley So has officially made chess history. 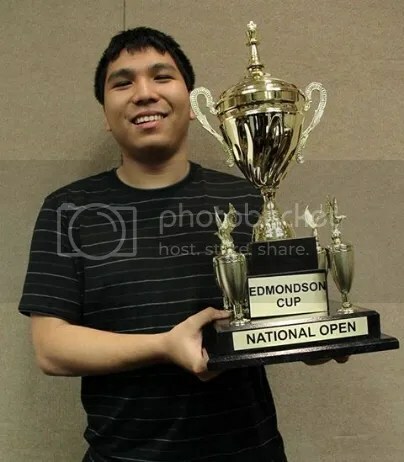 So is now the 1st player from the Philippines and the 1st player in the 67-year history of American Collegiate Chess to break the 2700 rating mark. Read more: He is SO Good!. GMs Parimarjan Negi and Ino Sadorra tied for 1st Place @ 2013 UT Dallas Spring Open. 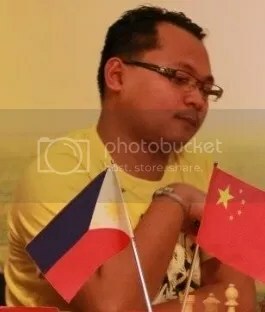 One of UTD student GM Julio Catalino ‘Ino’ Sadorra, a mainstay of UTD Team “A” from Philippines, who was seeded #6 out of a total of 43 FIDE rated participants (13-GM, 10-IM, 9-FM, 3-WIM & 1-WFM) from 18 countries/federations scored 6.5/9 (5Wins-3Draws-1Loss) with a ‘Rating performance’ (Rp) of 2611 tied for 1st place with the #1 seed GM Parimarjan Negi (IND)2639 who also submitted identical score after 9-rounds of play. GM Parimarjan Negi with a superior tiebreak due to his higher Buchholz took home the championship trophy while GM Sadorra had to settle 2nd place finish. GM Sadorra consolation was, he was the only player to trounce the champion and this ensued in round-7 where he was able to catch-up Negi at the helm. Read more: GMs Parimarjan Negi and Ino Sadorra tied for 1st Place @ 2013 UT Dallas Spring Open. World’s Youngest To Attain Chess Grandmaster Status. Read more: World’s Youngest To Attain Chess Grandmaster Status. 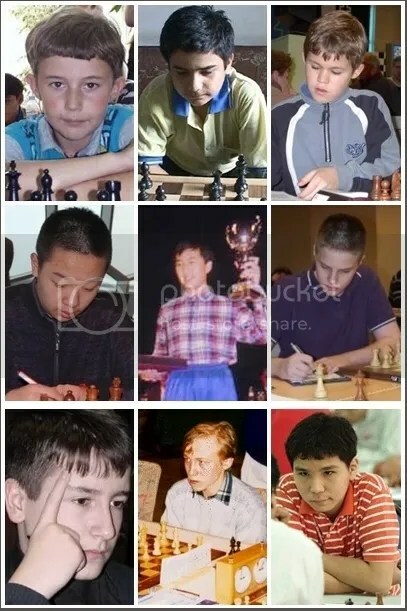 Wei Yi The World’s Youngest Grandmaster at 13yrs-8mos-24days. 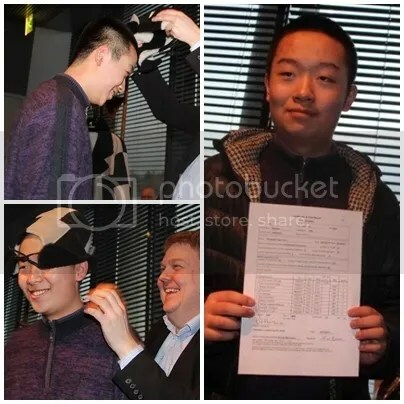 The latest 13 years of age, to qualify the GM status was China’s Wei Yi, born 2 June 1999, when in the 9th round of a 10 rounder Reykjavik Open on 26 February 2013 he scored 7.0/9 and registered a Rating performance of 2661 that was more than enough to achieve his 3rd and final GM norm. 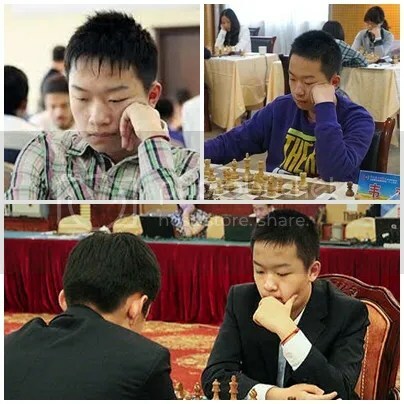 Read more: Wei Yi The World’s Youngest Grandmaster at 13yrs-8mos-24days. 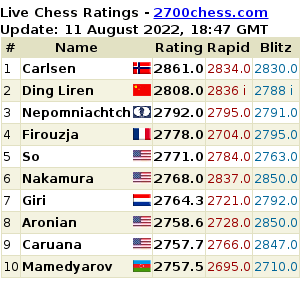 Wesley So Officially Breach the 2700 mark. On March 2013 FIDE rating list publication, officially, GM Wesley So (born 9 Oct 1993) from the Philippines breached the 2700 mark. 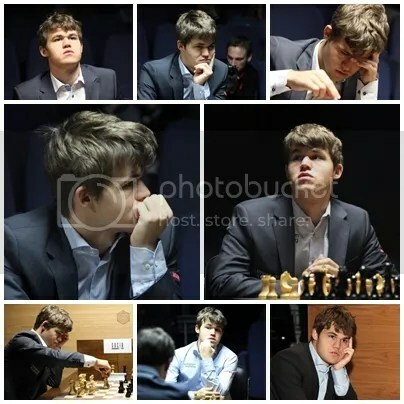 His March 2013 FIDE rating of 2701 was derived from his live rating of 2701.3 that he achieved 2 days earlier at the conclusion of Reykjavik Open 2013 on 27 February 2013 where he tied for first place, a 3-way tie, with GMs Pavel Eljanov (Ukraine) and Bassem Amin (Egypt). 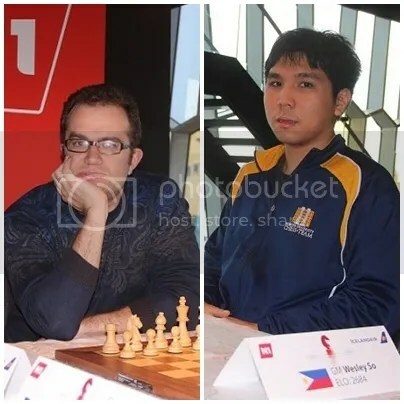 GMs Pavel Eljanov and Wesley So scored separate victories in Board 1 & Board 2 against their respective co-leaders while the two other co-leaders at Board 3 settled for draw that resulted for the two to tie for the lead scoring 7.5/9 points going into the last round (R10). 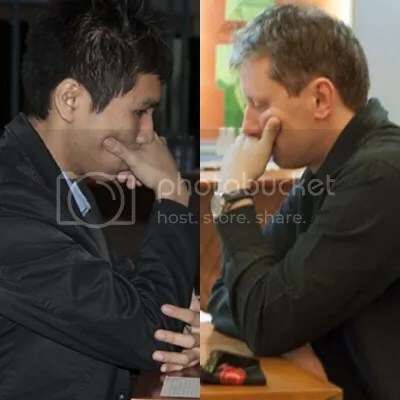 Pavel Eljanov of Ukraine repulsed the higher rated GM Liren Ding of China in Bo.1 whereas the Philippines GM Wesley So dismantled Polish GM Dziuba Marcin Caro-Kann Defense in Bo.2 with a Queen sacrifice in exchange of a rook and bishop starting the 20th move that ended with a checkmate in move 41. 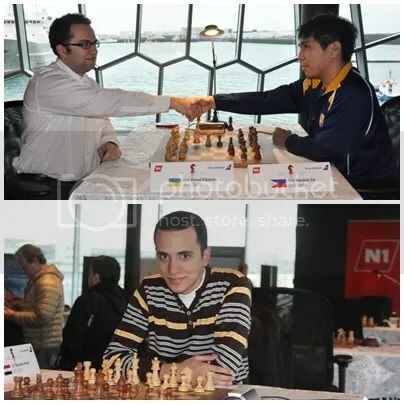 Read more & more PICs (Rnds 1-9 results): Reykjavik Open 2013. Magnus Carlsen breaks his own rating records. 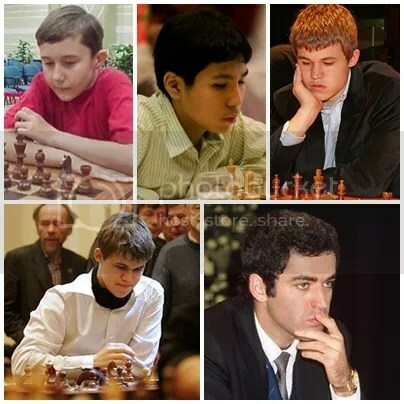 The official FIDE ratings for February 2013 has been published with GM Magnus Carlsenbreaking his previous ‘All-Time-High’ rating of 2861 (January 2013) to the ‘New-All-Time-High’ rating of 2872 and that is a +11 higher. Read more: Magnus Carlsen breaks his own rating records. Wesley So Qualifies for Chess World Cup 2013. The 19-year-old Philippines #1 rated Grandmaster Wesley So who took time out from Webster University at Saint Louis, Missouri, USA where he is currently a college freshman and whose “one mission” according to his coach GM Susan Polgar in taking part in the Zone 3.3 Championships 2013 in Tagaytay City, Philippines on January 22-29, 2013 is“to make the 2013 World Cup”, finished second place and nailed one of the two(2) qualification slots for FIDE Chess World Cup 2013 allotted in the Asian Zonal championship. 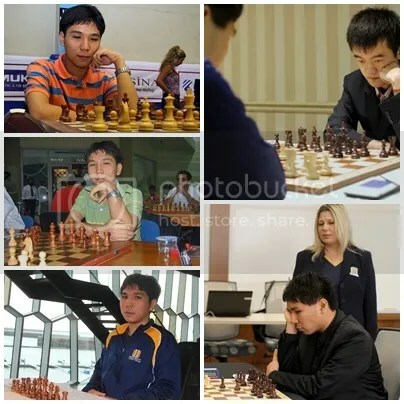 read more: Wesley So Qualifies for Chess World Cup 2013.